Hello, Mac acolytes, another five fine tips for your Friday. 1/ Two ways to turn on Do Not Disturb — If you’re in the Notification Center (this is under the little 3-lines-3 dots icon at top right of your Mac screen) the already, simply pull down the panel until you see Do Not Disturb. If your Mac supports it, you can also enable Night Shift mode from there. 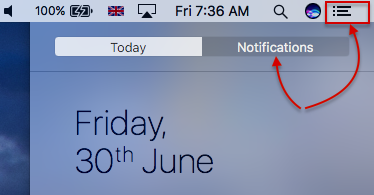 Alternatively, just Option-click (hold down the Option key on your keyboard and click) the Notification Center icon in the status bar, and Do Not Disturb will turn on. Also note this is most unlike the Dock, since deleting an app from the Dock leaves that app safe in Applications – it just removes the quick link button to the app that the Dock generates for you. 3/ Filter Unread Messages in macOS Mail — The Mail app now allows you to filter your unread messages. At the top of the messages pane, you’ll see a circle with an upside-down triangle. Just click on that little button, and Mail will filter your email, showing you only unread messages. 4/ Quick Look at Documents and Images — The Finder has a Quick Look feature. After you’ve single-clicked on a document, image, or other types of files, press the space bar on your keyboard. A quick preview of that file will show up, along with the option to open it in the correct app. 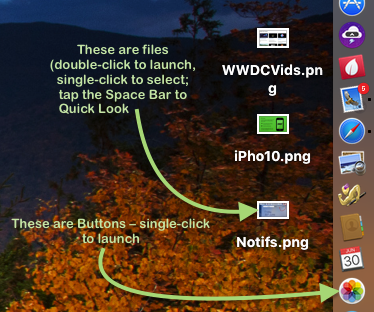 Remember, a single-click selects, a double-click launches – the confusion here is buttons, like items in the Dock,which launch with a single click. Happy 10th Birthday, iPhone! 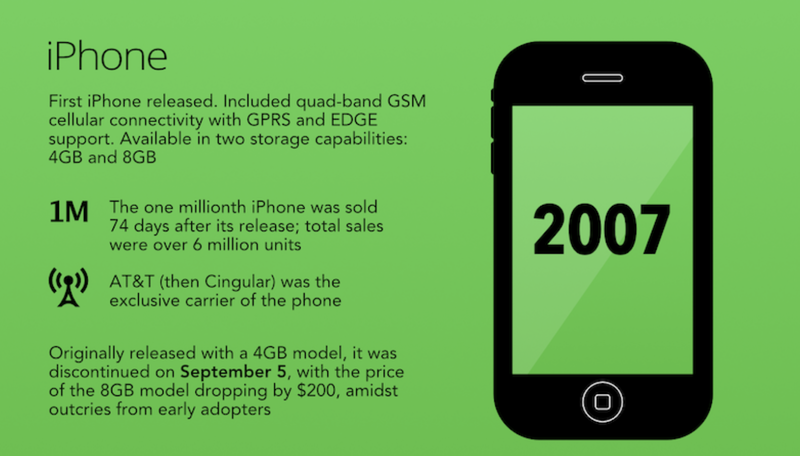 The concise history of Apple’s smartphone in one colourful infographic — Ten years ago on June 29th, the Apple faithful stood in line, and sometimes slept in line, to be among the first to get their hands on the first iPhones. Later today I’ll be posting some personal recollections of that day, but I thought that it would be a good idea to look at the history of the iPhone. Fortunately, the good folks at SureCall worked up an excellent infographic that colorfully illustrates that history. Click ‘read more’ to see the infographic (that’s a section of it, above), and then scroll down to see it in detail. iPhone is 10 years old, but its creation was decades in the making. Apparently, Steve Jobs conceived of it 25 years before it was possible to make. An iPhone switch story from a reluctant Android switcher — The iPhone launched 10 years ago, but Roger switched much more recently, in 2015. On the milestone anniversary of Apple’s groundbreaking handset, he tells his story. 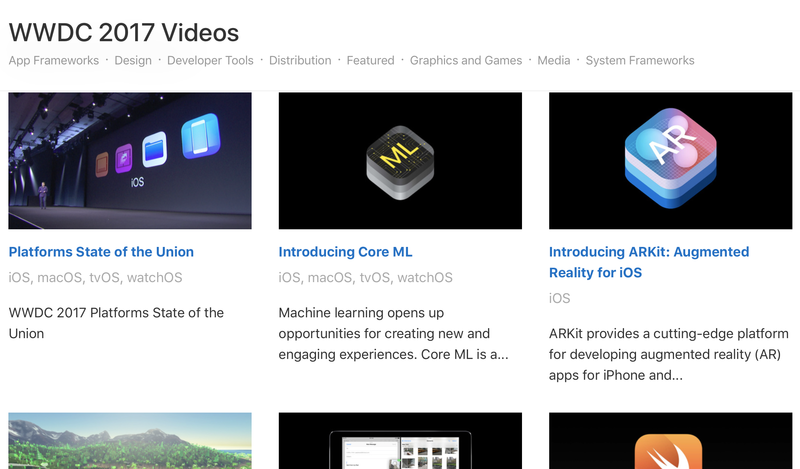 Apple publishes WWDC17 video transcripts, reminds developers of 64-bit app requirements — Apple on Wednesday released searchable transcripts for its catalogue of Worldwide Developers Conference 2017 videos, while at the same time reminding developers of 64-bit app restrictions related to its next-generation operating systems. The videos are all here. How to use AutoFill for credit cards, contacts, passwords, macOS Sierra’s Safari — With AutoFill, Safari can automatically fill in your credit card information, contact information, passwords, and more in the Safari web browser on macOS Sierra. Multi-tool for Macs — You might assume Parallels Toolbox was related to running Windows, but Parallels Toolbox is a one-stop app for quite a few great features. You can use it to take a screenshot, record a screen cast or download your favorite video. Parallels Toolbox also gives you buttons to secure private files with passwords, keep your computer from sleeping or convert a video to a format you can view on your iOS device. It lives in your Mac’s menu bar, and is just a click away for all of those tools, and more. There’s a seven-day free trial, then Parallels Toolbox is just US$9.99 per year. New tools are added frequently, so be sure to check it out and enjoy your all-in-one toolbox. Mac subscription models — The switch to subscription software models in recent years has been highly controversial, especially when it comes to longstanding applications with a history of perpetual licenses and local functionality. First thoughts — when I first took it out of the box and opened it up, my heart skipped a beat since it looked so much like the 2012 I was replacing – then I realised that of course the Touch Bar (the single biggest difference, visually) wasn’t lit since I hadn’t turned it on. Unlit, it’s easy to miss. And then I noticed the huge trackpad and flatter, even more buttony keys; in fact, they’re so flat they could almost be a decal. Another decision I’d made had related to this visual trick: I ordered a silver model rather than the rather more sophisticated Space Gray [sic] since I reasoned that everyone would want the grey and if I ordered silver, I might get it quicker. Maybe I was right – it was scheduled for a 20th June delivery and it arrived on the 17th, so maybe this was wise. Also, I had reasoned, it’s not so instantly stealable since at a glance people might assume it’s the older model. So hey, feel free for this advice … you’re welcome. But hey, good on you, Apple, for the clever cardboard packaging – no polystyrene chips at all. Yet it came all the way from Shanghai in fine condition. Updates were immediately available — iTunes, GarageBand and the iWork apps – and I installed those and a few other things I’d previously bought. This is a simple matter of opening the Mac App Store and clicking the Purchased tab, and anything you have downloaded before is available free to re-download; I like this feature a lot. Typing these notes, I realised quickly that I was to be a lover of the new keyboard rather than the opposite. And wow, the touch bar! Stop typing and add a full stop, and ‘The’ comes up as a suggestion. One tap instead of three. Once you get used to a few of these, imagine the little micro-speedups you’re going to get adding tip over your day, and another thing, I’ve never been. Touch typist, so my eyes tend to be on the keypad anyway, making it still handier for me. I needed dongles almost immediately! Jeeze, only four ports. I mean, they might be daisy-chainable and all that, but I regularly have three other hard drives plugged in, a USB extended keyboard, another monitor, a mouse, Ethernet, an audio interface, another set of speakers (additional to the ones plugged into the audio interface). Somehow I managed to cope thanks to a Dell monitor that had a USB hub (three connections) in the back, although running that meant two ports gone: one via a dongle to the monitor and another to power the USB hub, but still, that let me plug in another 4-port USB hub that let me plug in almost everything else. The only thing I’m really missing is an ethernet dongle, but I have a couple of Docks coming up to test and both (a Belkin and a Kensington) have that, so I’ll wait. Wifi just isn’t fast enough for me, even hitched to Gigabit fibre. The Touch Bar — This has been widely criticised. 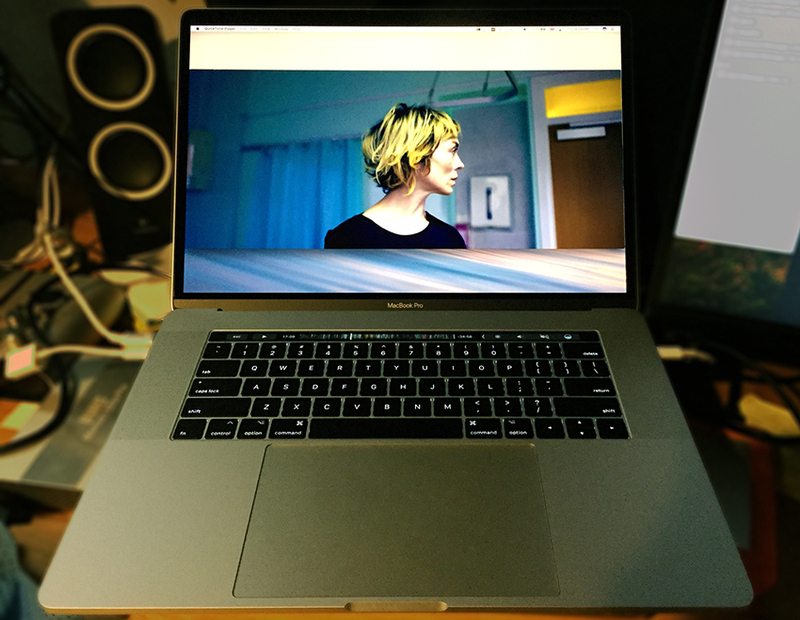 Criticised mostly by people who don’t have MacBook Pros, I suspect, because it’s actually pretty good. I see this as a very smart compromise between the facility of a touch screen, a la iPad/iPhone, and the traditional Mac keyboard. You get touch controls without having to poke at your screen. I totally get this because the last thing I want to do is get smeary fingerprints all over my beautiful, wide-spectrum, colour-balanced Retina Display. Reaching towards the screen, there it is, right at your fingertips. Touch Bar support got added to many Apple apps in October 2016 and third party apps – even Microsoft Office – have been following suit. The right side of the Touch Bar is reserved for the usual brightness, volume etc controls you used to get as actual F-keys (which are still available – just hold down the ‘fn’ key at lower left). In something like GarageBand or Logic, the Touch Bar is genuinely useful, with one slight qualification. For example, tap the Compression button (for that effect) on the Touch Bar and you get a slider, but dragging the slider does nothing. You have to tap the track either side of the virtual knob on the slider to move it to there. That said, once you get used to it, this is fine, and still a lot more satisfying, somehow, than tying to twirl virtual knobs on screen via a mouse or trackpad. Touch Bar is pretty nifty in Final Cut Pro X (above), although iMovie’s take on it is disappointingly minimal, with only the basic play/pause/rewind controls and a Split Clip button. This really seems odd considering how fulsome the Touch Bar is for minor apps like Contacts and Calculator. Here’s a post by 9 to 5 Mac showing what apps are supported, with screenshots, and even Nisus Writer Pro has support, with word suggestions coming up. The way you customise the Touch Bar is via System preferences>Keyboard. 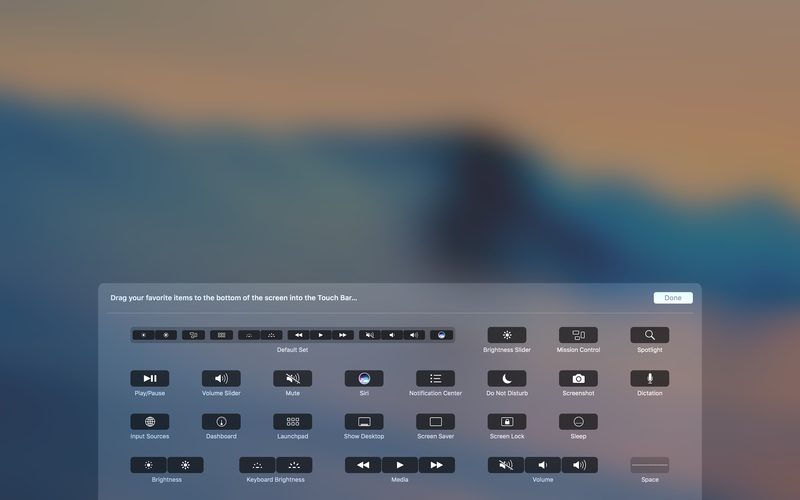 This brings up an almost magical interface of available buttons – drag them downwards towards the Touch Bar and they pop into that, from one screen to another, as it were. Sound — Shockingly good. I mean, still not the kind of bass you can get from external speakers, but clear, sound and well defined, and a definite step up from from the pre-2016 iteration of MacBook Pro. Speeds — This is one groovy little laptop. It’s faster than the 2016 version, but not much. It will shine more in heavy video editing but for most uses, it’s just a quick laptop and in general computing aspects, little different to the 2016 model. In the version I’m testing, the 4GB video card option certainly makes games beautiful, and speeds up any graphics-intensive operations. It’s a bit hard for me to quantify against the last 15-inch i7 Apple laptop because I haven’t tested one – the closest that’s been through my hands is the 2016 13-inch MacBook Pro with Touch Bar. Below, at a glance, the blue is this 2017, the green is the 2016 13-inch MacBook pro with Touch Bar. I didn’t bother showing the Single Core scores as they’re virtually identical, so the left-most group of three shows Multi Core scores from GeekBench – note how both i7s are considerably better than the i5 in the 2016 13-inch. Surprisingly, the built-in 2016 13-inch graphics look superior to the 2017’s Intel HD. 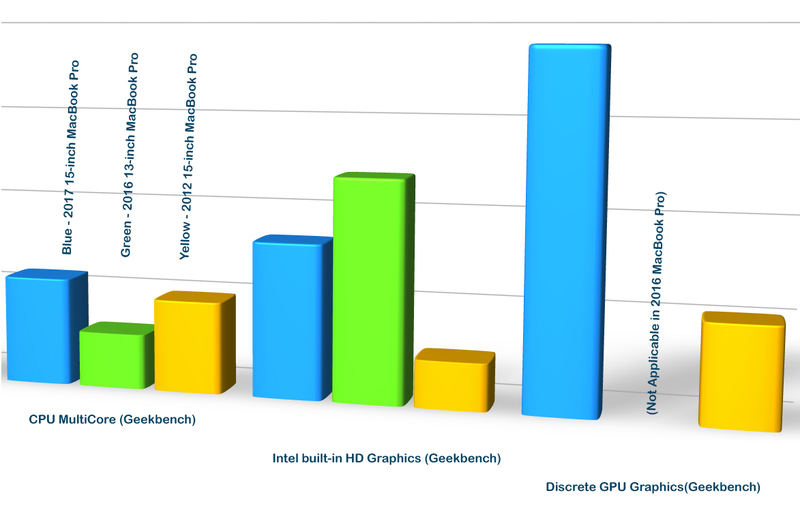 But look at the right-most group – the video card with 4GB RAM really aces the 2012’s, which had 1GB (it didn’t have discrete graphics, which is why the right-most three-group is missing a green) and the yellow is my old 2012 i7. The other big speedup is the new SSD technology. SSD was so much faster than traditional hard drives already. Five years on, it’s much faster still. The Black Magic disk test shows the evolution, with write-speed figures of 374 for the 2012 SSD, 1288 for the 13-inch and 2018 for the 2017, or in other words, the 2016 is 244% faster than the 2012, and the 2017 is nearly 57% faster than that, or 440% faster than the 2012. Incremental increases in SPU speed don’t really achieve all that much in the real world – the biggest difference in the last six years is the introduction of SSD, meaning an SSD Mac boots up in seconds instead of minutes and loading up apps like Photoshop can happen in under 5 seconds. Video editors will again be happiest, with speedy real-time renders even with big projects. Other sites have had far more access to models of MacBook Pro to compare, so from MacRumours, from WCCCF Tech, and from the horse’s mouth, so to speak, the whole Mac line-up plus, also from the Primate Labs Geekbench site, the MacBook pro lineup. Click the image above to enlarge this picture and read the figures properly. Conclusion — I’ll be a happy man with a new Apple laptop, and to be fair, there was nothing really wrong with my outgoing model except it was five years old. But this is lighter, faster and has Touch Bar. What’s Great — It has Kaby Lake, it’s lighter and slimmer than the pre-2016 model, and when USB-C/Thunderbolt 3 comes into its own, the outlook is rosier still. The built-in speakers are surprisingly good – I honestly didn’t think that was possible in this form factor. What’s Not — The massive Trackpad. Why, exactly? To draw on with a stylus. Perhaps? Sure … I’m a fan of the new keyboard, but some people are not. Needs — A good Dock and/or some adapter dongles, which adds to the already high price point. What — 2017 MacBook Pro 15-inch in Silver or Space Gray, NZ$5189 as configured – see under System, below. (This range starts at NZ$3999 for the 2.8GHz with 256GB internal storage and 16GB RAM; NZ$4699 for the 2.9GHz with 512GB internal SSD). Here’s a little tip: if you change out that ‘nz’ between forward slashes in this web address to ‘us’, you will get US prices, to ‘uk’ British, and ‘au’ Australian and so forth. System — 7th Generation (Kaby Lake) 2.8GHz Intel i7 CPU, 4GB (4096MB) Radeon Pro 560 discrete video/Intel HD Graphics 6030 with 1.5GB RAM for lower-power running on battery, 16GB RAM, 1TB internal SSD. 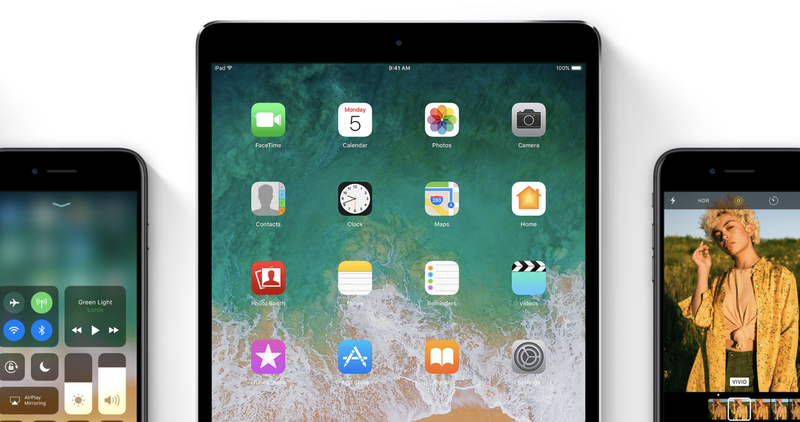 iOS 10.3.2 is a free over-the-air update available to all users with a compatible iPad, iPhone or iPod touch. It can also be downloaded and installed on iOS devices using iTunes on a Mac or PC. 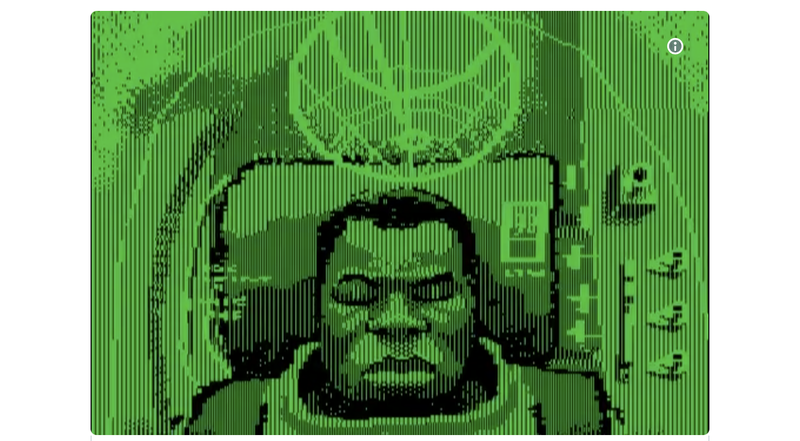 The Last Jedi trailer recreated on an Apple IIc — Professional illustrator Wahyu Ichwandardi has to be about the coolest Star Wars fan around [not exactly a challenge!] right now because he painstakingly recreated the Star Wars: The Last Jedi trailer on an Apple IIc. He used the ancient Apple computer, Dazzle Draw, and a KoalaPad – state of the art for graphic design in 1984. Apple is number six on third dream job lists — Google is the number one dream employer for high-achieving teenagers in the first generation of digital natives, according to the National Society of High School Scholars’ (NSHSS) 2017 career interest survey. Apple places sixth on the list. And Universum Global, an employer branding company, has announced their 9th annual World’s Most Attractive Employers (WMAE) results from over 290,000 business and engineering/IT students from the world’s 12 largest economies. Apple ranks third on this list (in two categories). Last year it ranked second. 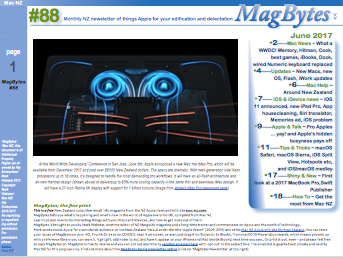 Actual testing on AMD Vega GPU destined for iMac Pro shows significant speed gains over Nvidia Titan Xp — Hands on testing performed by a PC enthusiast site shows Vega 64 GPUs like those found in a build-to-order configuration of forthcoming iMac Pro beat the Nvidia Titan Xp card in actual workflows similar to those expected to be handled by the pro-level Mac — and the Vega 56 should also slightly edge the Nvidia card. Verto Analytics: lots of Windows users plan to go Mac — Verto Analytics just released the findings of a new study about who is most likely to switch from a Windows laptop/desktop to a Mac. The analytics firm conducted a poll of current Windows owners (among US adults, aged 18 and above) and asked them if they planned to buy a Mac as their next computer (either laptop or desktop) in the next 6-24 months. Verto also asked current Mac owners about their intentions to switch to a Windows machine within the next 6-24 months. Nearly all (98% or more) current Mac owners intend to stay with Macs as their next computer. However, nearly 21% of current Windows laptop owners and 25% of current Windows desktop owners responded that they intend to switch to a Mac within the next six months. Apple enables Maps Transit directions in Madrid — Apple this week activated Transit directions in Madrid, Spain, offering users in the area access to local bus, train and metro travel data. A Maine school district struggles with Apple’s notebook pricing — Recently the Mac Observer got an email from Peter KE Robinson, Technology Director, Auburn School Department in Auburn Maine. He had been listening with interest to the TMO Daily Observations Podcast and the associated, written articles. In his experience, iPads don’t fully fit the requirements and the notebooks are simply too dear. Inside iOS 11: one-handed keyboard assists large phones, absent on iPad — Starting with the release of iOS 11, iPhone users will have the option of invoking a special one-handed keyboard, making it especially easy to type with larger screens. ‘Sega Forever’ free-to-play classic games for iPhone are off to a good start, but aren’t perfect — Sega has released four classic games into their ad-supported free-to-play Sega Forever initiative, including Kid Chameleon, Altered Beast, Phantasy Star II, and Comix Zone. AppleInsider gave the retro titles a spin, and found room for improvement. Host a remote YouTube viewing party with Uptime — Google’s social YouTube app, Uptime, is now available to all without an invitation code. First launched in limited testing earlier this year, Uptime is the result of a side project by Google engineers and is published under the company’s Area 120 brand for experimental apps and services. Apple has bought German company SensoMotoric Instruments which has developed eye-tracking tech.Have fun with that one, Jony Ive! Apple’s Tim Cook says Indian operations to use all-green energy within 6 months — More details have emerged from Sunday’s encounter between Apple CEO Tim Cook and Indian Prime Minister Narendra Modi, during which Cook reportedly revealed he expects Apple’s Indian operations to run entirely off renewable energy by the end of 2017. Judge shortage in Ireland delays ruling on Athenry Apple data center location controversy — Once thought to reach a conclusion on June 23, the appeal hearing opposing Apple’s Athenry, Ireland efforts has been delayed because of a lack of judges able to hear the case. Apple buys German eye tracking firm SensoMotoric Instruments — Apple has entered into an agreement to purchase German company SensoMotoric Instruments, a company noted for hardware and software for eye tracking sensors, useful for augmented reality. The company’s hardware is currently used for augmented reality applications, early autism detection in children, brain mapping and neurology, vision science, psychology, physical training and more. Apple unveils Tuniversity music ed initiative — Apple has unveiled Tuniversity, a new music education initiative that centres around books created with iBooks Author. The first book involves the song Happy by Pharrell William. The US$4.99/NZ$7.99 book, available only via the iBookStore, allows students to discover how the song came to be, from first inspiration through recording without learning music theory. You can sign up to be notified of more titles in this series. Boom 3D sound enhancer — Today’s TMO deal is Boom 3D for Mac. It’s an app that enhances the audio from your Mac’s built-in speakers through a system-wide volume booster and equalizer. The app helps your Mac speakers simulate 3D sound, improves overall audio levels, includes several equalizer presets for different listening scenarios. Boom 3D for the Mac is regularly priced at US$16.99, but with our deal you get 41% off so it’s only $9.99. 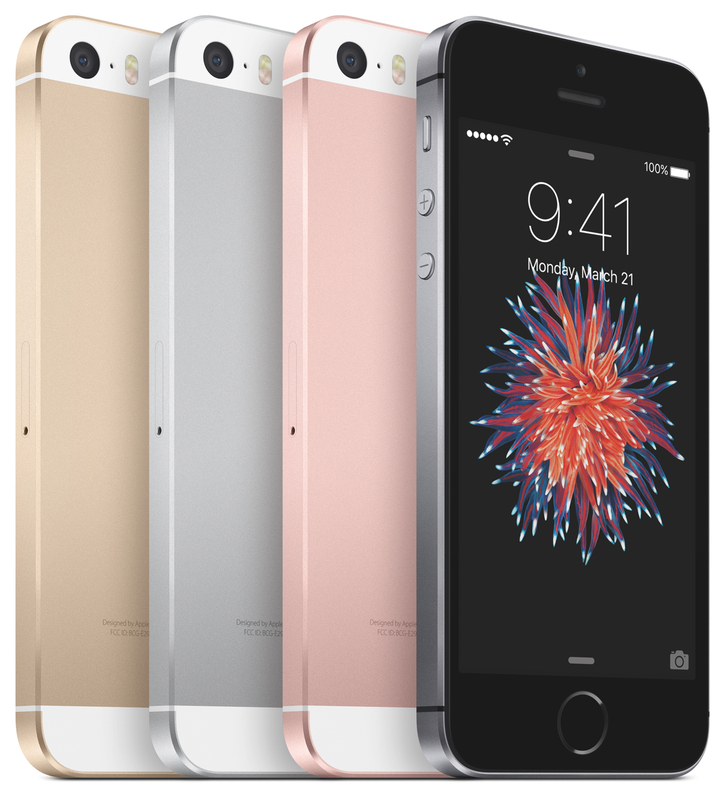 First ‘Assembled in India’ iPhone SEs go on sale — The first iPhone SE models built in India are now on sale in cities around the country such as Bengaluru, where the phones are assembled. The devices are marked “Designed by Apple in California, Assembled in India,” the Indian Express reports. Nike, SNKRS team up for Augmented Reality shoe promotions on iPhone — Nike is getting into augmented reality to push shoe sales and you’ll need an iPhone to get in on the action. The sport and athletic footware company has teamed up with the SNKRS app so customers can be among the first to buy its latest shoe designs by pointing their iPhones at special posters on city walls. First shots of the Steve Jobs Theater headline latest Apple Park drone footage — The latest footage of the construction of Apple’s new Apple Park campus is up. In addition to some breathtaking views of the building’s architecture and surroundings, we get our first look at the top level of the Steve Jobs Theater, a 1000-seat auditorium named in honour of the company’s visionary co-founder where Apple will hold future meetings and product events. Also keep an eye out for all of those solar panels that, when complete, will comprise one of the largest on-site solar power installations in the world. Apple Discontinues Wired Keyboard with Numeric Keypad — One of Apple’s quiet updates during WWDC earlier this month was the long-awaited introductionof a wireless keyboard with a numeric keypad. The Magic Keyboard with Numeric Keypad includes the same popular features of the existing Magic Keyboard 2: scissor key switches, Lightning cable charging and connectivity, macOS and iOS media keys, long battery life, etc – while adding in the handy numeric keypad for those who need it [this echoes the layout of the Apple Calculator app]. Apple’s Tim Cook, other CEOs meet with India’s Prime Minister in Washington — Apple CEO Tim Cook was reportedly one of 21 US corporate leaders who attended a roundtable with Indian Prime Minister Narendra Modi in Washington, DC on Sunday. Internet Safety Month nets Intego Deal — This week only, you can get a special discount with the purchase of Mac Premium Bundle X9. Get 50% off MSRP* today by using this coupon code at checkout: SAFERINTERNET04 (the discount applies to households, limit 10 Macs per customer. Regular renewal rates apply. This exclusive deal expires Sunday, July 2 at 11:59PM US PST). CopyClip 2 is a lightning fast clipboard manager for Mac — Running discreetly from your menu bar, the app stores all you have copied or cut in the past, allowing you to easily find that snippet of text you need. You can get a free trial; it costs US$6.99. Apple hires head of Stanford’s digital health initiative — Apple is moving forward with efforts to build out its health products team with the recent hire of a top Stanford doctor who headed up the university’s own digital health initiative. Dr Sumbul Desai, a key figure in January’s launch of the Stanford Center for Digital Health, will leave the center for an unknown role at Apple, Stanford confirmed to Internet Health Management on Friday. Proposed Italian consumer protection law unlikely to have any effect on Apple’s iPhone sales — Hyperbolic Italian press reports notwithstanding, a controversial law proposed in Italy granting the users to use open-source software intended to grant rights to users will have little to no effect on Apple, according to AppleInsider sources. Logitech Slim Combo keyboard case for 10.5-inch iPad Pro — Logitech makes some really nice keyboards for the iPad Pro, with the CREATE keyboard being my go-to keyboard for the 12.9-inch iPad Pro. 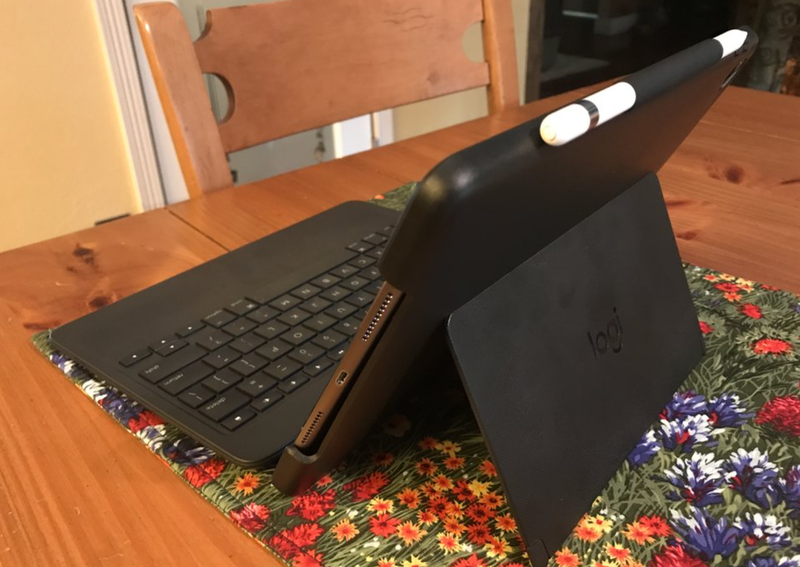 I recently purchased one of the smaller iPad Pros, and was provided with a Logitech Slim Combo Keyboard Case (US$129.99) for the 10.5-inch iPad Pro. After about 10 days of testing, here’s Steven Sande’s take on this versatile keyboard case$. 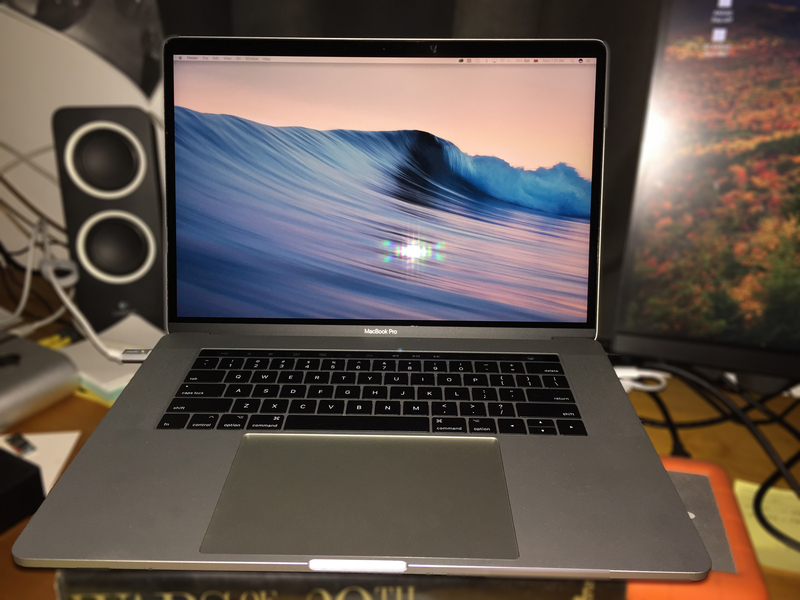 Review: 2017 MacBook Pro fulfills the promise of the line’s redesign — At the WWDC, Apple took the opportunity to toss the new Kaby Lake i7 processor into the the redesigned 2016 MacBook Pro chassis. If you liked the 2016 but didn’t jump, you’ll be even happier with the 2017, says Apple Insider. Speculation has focused on the role that cladding apparently used in a recent refurbishment of the tower may have played in the fire, which appeared to spread quickly up the exterior of the tower in the early hours of June 14. With the inquiry now in its second week, police have started taking witness statements from those who were in the tower. Chicago’s new Apple Store lets you get your MacBook fixed inside a massive MacBook — If there’s one thing about Apple Stores that everyone can agree on, it’s that they certainly stand out, and it looks like Apple isn’t aiming to change that reputation any time soon. The company’s upcoming flagship store in Chicago is being constructed with glass walls all around and a carbon fiber roof. 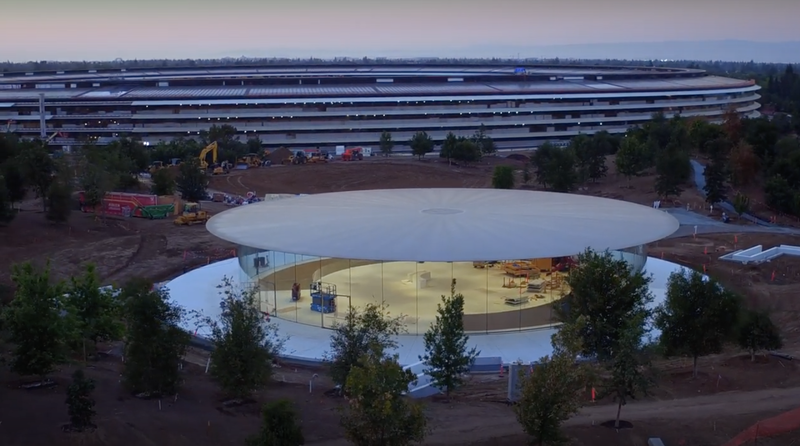 But this week, the construction crew deviated from the original design plans and added a white Apple Logo to the center of the roof, making the store look like a giant MacBook. 2017 McAfee Threat Report shows spike in Mac malware — Malware targeting Mac users has been on the rise over the past year, and the McAfee June 2017 Threat Report [PDF] indicates that the trend in Mac malware isn’t slowing down. There were nearly 250,000 new instances of macOS malware in the first quarter of 2017, bringing the total for the quarter to just over 700,000. High Sierra firmware suggests Secure Enclave, Intel ‘Purley’ chips coming to iMac Pro — A report on Thursday suggests Apple’s forthcoming iMac Pro all-in-one will run Intel’s server-class “Purley” Xeon platform, as well as a Secure Enclave Processor similar in function to the ARM-based chip embedded in the MacBook Pro with Touch Bar. Consumers trust Amazon more than Apple — Okay, it’s a survey. Surveys must be very well constructed. They must be repeated. They must be analyzed for the soundness of their methodology. The sampling is crucial. They must be put in perspective. That said, this survey by Morining Consult, published by Business Insider, shows that 69% of those surveyed trust Amazon to keep their data secure. Apple’s number was 60%. SnipNotes is a new note-taking app for the Mac — Felix Lisczyk has introduced SnipNotes for macOS, which extends the existing iOS app. It combines a configurable clipboard manager with an intelligent note-taking app.